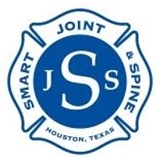 Smart Spine and Joint (Houston) - Book Appointment Online! Our Mission is to consistently deliver excellence in comprehensive wellness care for individuals, suffering from acute, chronic or personal injuries by an appropriate integration of the finest diagnostic, therapeutic and rehabilitative resources available, to help restore and maintain maximum possible function. We specialize in car accident and on the job injuries. Staff in the front was two awesome and helpful ladies! The Dr. was professional and kept a smile on her face. I will be back!